, providing an out-of-the-box certificate enrollment experience for Chromebooks in enterprises with a deployment of Microsoft Public Key Infrastructure based off of Active Directory. 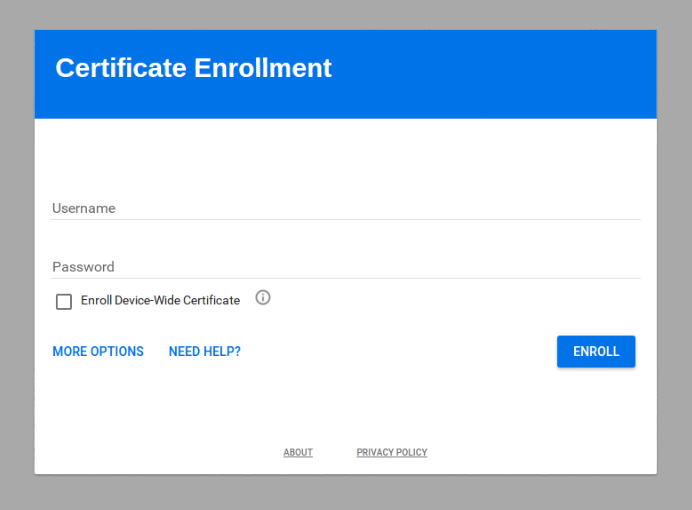 This new extension allows users to easily request a certificate for their managed Chromebooks to access enterprise-protected networks and resources. It also allows admins to scale their Chromebook rollouts by automating the Active Directory certificate enrollment process via Google's Admin console. Check out the Help Center for minimum requirements and deployment guidelines. Today we are announcing the Certificate Enrollment for Chrome OS extension, providing an out-of-the-box certificate enrollment experience for Chromebooks in enterprises with a deployment of Microsoft Public Key Infrastructure based off of Active Directory.